My swatch is 12st* 22 row= 10cm *10cm. After you take out your piece from the machine squash it to relax the tension of the yarn then measure your swatch. 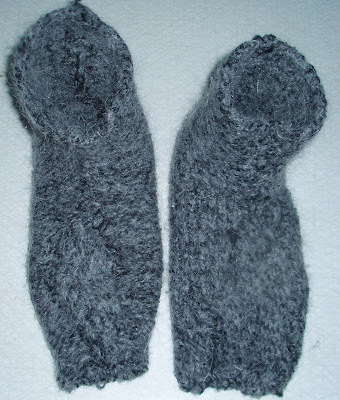 1) Starting with the toe, knit 14 cm until the piece measures 4 cm long. 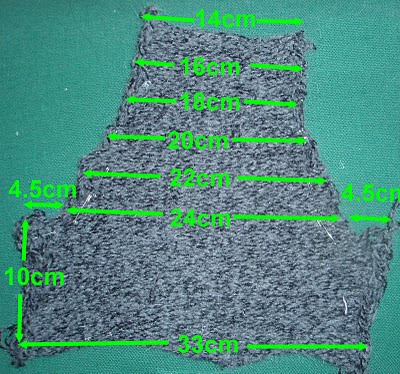 2) Increase 2cm and knit 3 more cm. 3) Repeat step 2 until your piece is 16 cm long and 24 cm wde. 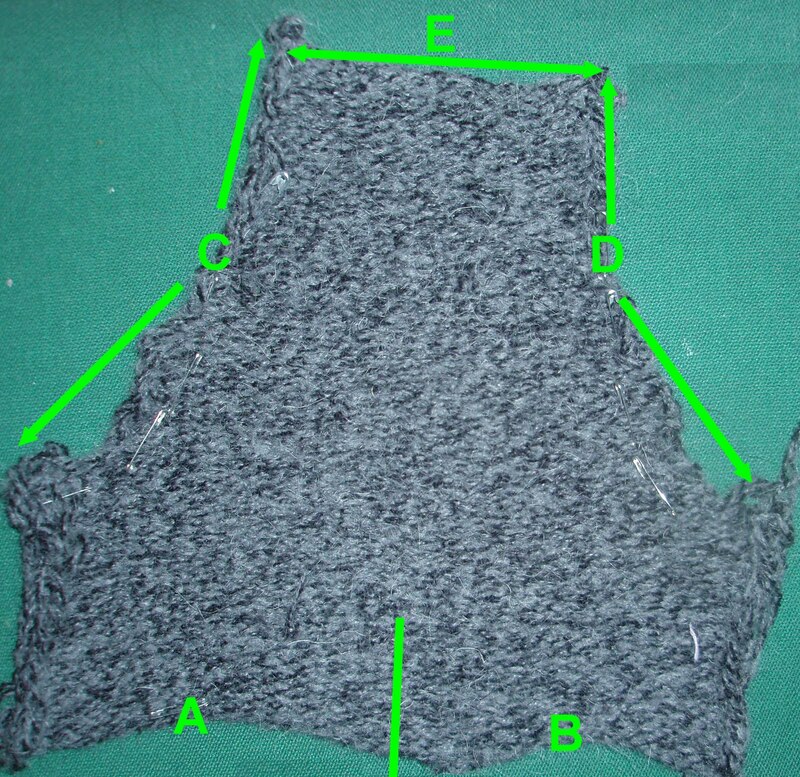 4) Increase 4.5cm on both ends of needles to make rectangle of 33 cm wide and knit for 10 cm more. 5) The piece will be bigger than your foot, wash it in the washing machine to shrink /felt it. 6)You might also find the piece at area A,B and E above too long. Cut it to fit your feet. 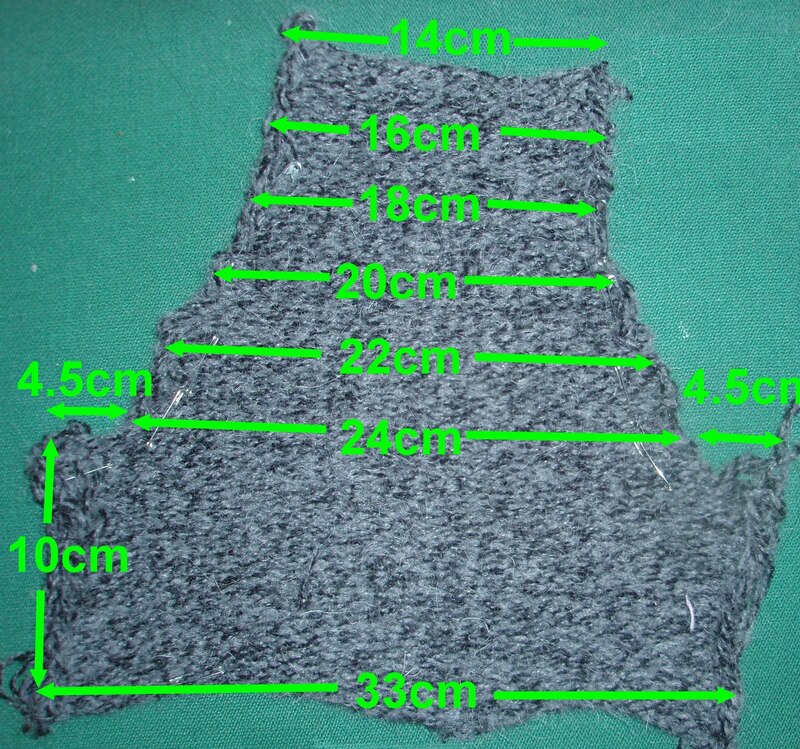 Use this piece, Figure 3 below as a gusset. 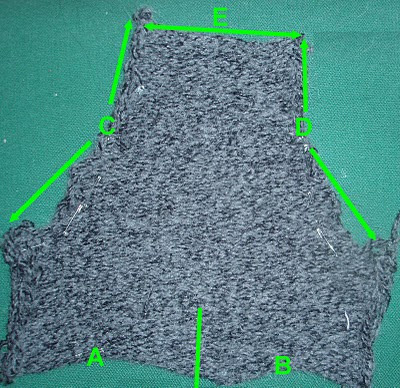 7) Sew part C in Figure 3 to part C in Figure 2. 8) Do the same for part D and E.
9) Try it on! I hope you like it!